Andrew is the president of Andrew Zow & Associates, Inc., and is a 2001 graduate of the University of Alabama with a Bachelor of Science in Sports Fitness Management. 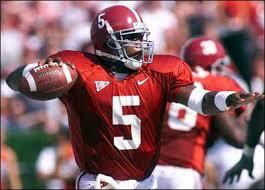 He is a former quarterback for the University of Alabama, where he was an Academic All-SEC student-athlete. Andrew participated in many speaking engagements and community service activities throughout the schools in Tuscaloosa County and Birmingham. He is also a recipient of the Key to the City of Anniston presented by the mayor. He resides in the Birmingham, Alabama area and is married with three sons. Steven is an outside sales representative and a graduate from the University of Alabama. He completed his Bachelor of Science in Business Management and specialization in Management Information Systems in 2010. In May 2013, he graduated from Manderson Graduate School of Business with a Masters of Business Administration. Steven was born and raised in Birmingham and resides in Vestavia Hills, AL.